As the colder weather season impacts our daily commutes, we’re reminded of the versatile vehicles at our Vogler Ford dealership that work best in unpredictable driving conditions. 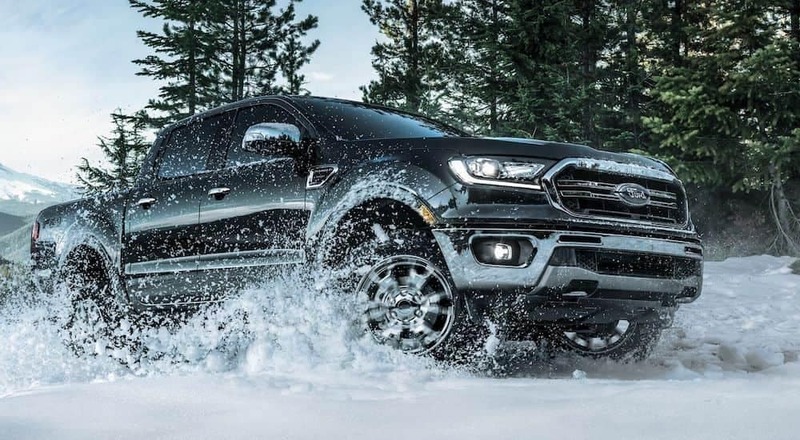 Of course, 4WD immediately comes to mind in our all-terrain Ford trucks that can improve traction and control on snow, ice and rocks — and about any off-road setting. Sure, we like to think ahead to spring, summer and fall, when we can put the top down on a sweet convertible Mustang for a sunny Sunday drive. That’s something to look forward to during these frigid winter months. But for now, we’re thinking of the rugged reliability of an all-terrain truck available at our Vogler Ford dealership to help get us through the chilly weather season. Ford always puts safety first, and our Vogler Ford dealership proudly provides superior vehicles loaded with safety ratings and features to accentuate our assorted inventory. Ford’s advanced technology provides safety protocols with crash test-rated front and rear airbags, tire pressure monitoring and blind spot information systems, rain-sensing windshield wipers, auto high-beam headlamps, adaptive cruise control, and forward collision warning with brake support, to name a few. These all help, especially in winter driving, when roads are slick, icy and muddy or visibility and traction are compromised. Available at our Ford dealership, the award-winning F-150 — 2018 Motor Trend Truck of the Year — this truck is widely popular for its best in-class power, strength and performance. These are all important characteristics when driving in adverse winter weather and challenging road conditions. The F-150 has earned a five-star safety rating from the National Highway Traffic Safety Administration. Added safety features for newer models of F-150, the only full-size pickup with a Top Safety Pick rating, include a potentially life-saving pedestrian detection system and intuitive Pre-Collision Assist. Ford’s best-selling truck has an impressive torque and payload capacity of 3,270 pounds, and can tow up to 13,200 pounds. The F-150 features a 450-horsepower 3.5L EcoBoost 4X2 engine, with available 5.0L 4X2, as well the all-new 250-horsepower 3.0L Power Stroke V6 Turbo Diesel option. F-150’s durable, military-grade aluminum alloy frame makes the F-150 700 pounds lighter than earlier model years, helping boost fuel economy and providing improved aerodynamic drag with an upgraded cab design. 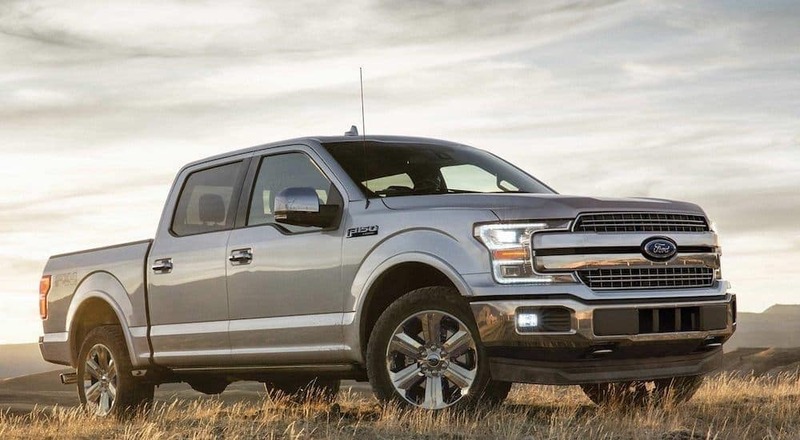 The F-150s sold at our Ford dealership also save gas with auto start-stop technology. While activated, auto start-stop shuts off the engine as the truck comes to a stop, conserving fuel and turning back on when the driver releases the brake pedal. The F-150’s gas mileage averages 18 city/24 highway, which is desirable for full-size truck fans. For drivers who enjoy off-roading, the flexible F-150 can come equipped with all-terrain KO2 tires and cutting-edge FOX Racing Shox, as well as its automatic Terrain Management System in six modes: Normal, Sport, Wet/Snow, Mud/Sand, Baja and Rock Crawl. This system is ideal for not just off-roading, but also diverse weather conditions typical to the winter months in midwestern locations such as our Ford dealership’s hometown of Carbondale, Illinois. The all-new Ford Ranger at our Vogler Ford dealership has upgrades that make it perfect for various off-road terrains, everyday road and highway conditions, as wellas a variety of uses and purposes. Like the Ford F-150, the Ranger ranks as one of the safest in its class, featuring a five-star crash-test rating. Ford Ranger’s EcoBoost line of turbocharged gas engines gives it the power and torque needed to make it a versatile mid-sized truck option for drivers focused on high performance and maximum towing capacity. Ford Ranger features a best-in-class maximum 1,860-pound payload and the agile ability to tow 7,500 pounds, so you can drive it for work, fun and everything in-between. The mid-size pick-up’s independent A-Arm front suspension and rear suspension with parabolic rear leaf springs provide agility and flexibility, especially when utilizing its rugged off-road capabilities. The Ford Ranger also offers more than 150 performance parts and accessories for on- and off-road capability, available at our parts department. When discussing the multi-season capabilities of trucks from our Vogler Ford dealership, we suggest adding safety features that will truly make a difference on snow- and ice-covered roads and in slick, wintery conditions. One option is to upgrade to all-terrain and all-season tires that can tackle the cold, snow, ice, rain, and even heat. Hybrid-terrain tires are ideal for a quiet drive for daily commuters on the highway and city streets, as well as surface-gripping for avid off-road enthusiasts seeking excitement. Along with recommendations on F-150 and Ranger upgrades and accessories, Ford also helps drivers stay safe in cold weather by offering tips on vehicle preparation for winter. Cold-weather auto prep includes checking windshield wipers to see if they need to be replaced — the Car Care Council suggests new blades every six months, and even possibly purchasing heavy-duty snow wiper blades for extreme winter weather. Also in the colder months, ensure your gas tank is full to avoid gas line freezing, and windshield washer fluids are more than ample. It’s always a smart move to keep spare bottles of washer fluid in the trunk or storage areas for unexpected emergencies and long road trips. Keep a first-aid kit and emergency winter weather supplies handy, including an ice scraper, snow brush, blankets, hats, gloves, waterproof boots, and snacks packed with protein, just in case a morning commute or long road trip takes a dangerous turn. Make sure to have your F-150 or Ranger truck’s heating and coolant systems checked and maintained for peak winter performance. Antifreeze prevents overheating by cooling the engine, and also prevents it from freezing during record low temps. Ford dealerships also advise checking a vehicle’s battery and charging system, especially for pre-owned models with more mileage than, say, a brand-new truck. If you can see corrosion, there’s likely an issue, so consult a professional service technician like those found at Vogler Ford. Make sure headlights and taillights are in working order, and windows are not cracked or compromised in any way, especially for visibility in potentially dangerous winter conditions. Whether they’re scheduling service to prepare for cold-weather driving or considering a trade-in to upgrade to a new truck in a new year, our Vogler Ford dealership customers know we’re here for a variety of year-round vehicle needs. We want to be a part of your Ford auto buying, and maintaining, experience — from start to finish, and everywhere in-between. We have everything you need when it comes to Ford ownership. 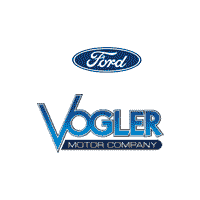 Vogler Ford of Carbondale, Illinois, is home to a knowledgeable and trustworthy staff of auto professionals who can help you through everything from test drives outside of our dealership lot to routine maintenance in our all-inclusive service center. We provide an onsite body shop, tire center, and parts department for your convenience. Our service specials often include a synthetic blend oil change, multi-point engine inspection, fluid top-off, tire rotation, brake inspection, battery test, and filter, belt and hose check, all at one convenient Ford dealership location. This makes for a better driving experience, no matter the time of year, especially when Old Man Winter pays us a blustery visit.